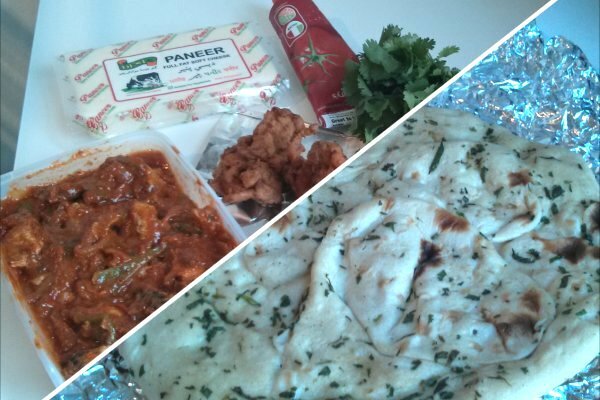 Many years ago, a friend told me that you could make quick, tasty pizzas using naan bread as a base. And it's a tip which has served me well over the years - just spread with tomato paste, herbs, cheese, and whatever stuff you have lying around, and shove into the oven. 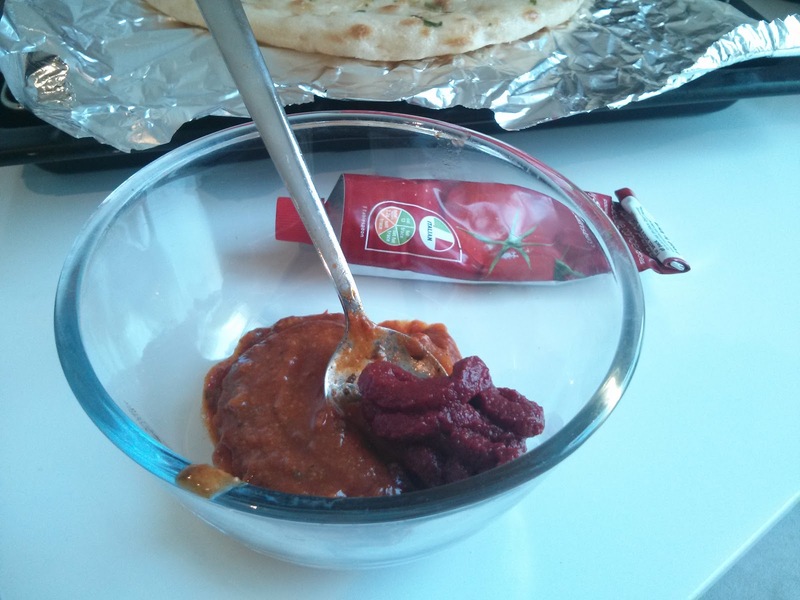 To make the sauce for the pizza, separate out all the sauce you can from the curry, and mix with tomato puree. Then spread liberally over the bread. 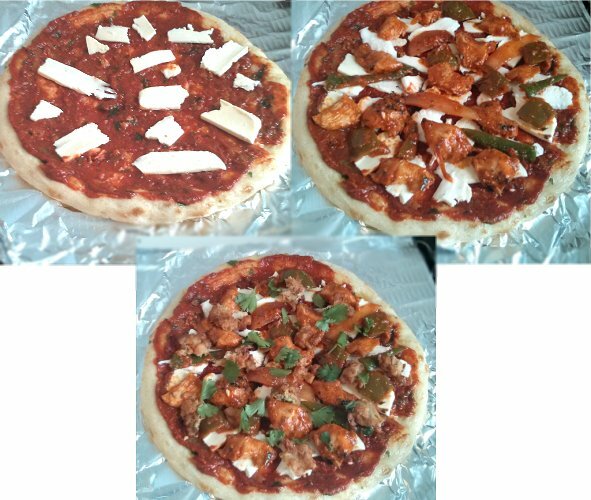 Add a layer of paneer onto the pizza, then top with the pieces of meat, vegetables, and chilli from the jalfrezi. Finish with chunks of onion bhaji, and if you're feeling elaborate, some fresh coriander. Put it in the oven at a pretty hot temperature for a few minutes - as a rough guide, at 220 for 10 minutes, it comes out a bit burned. 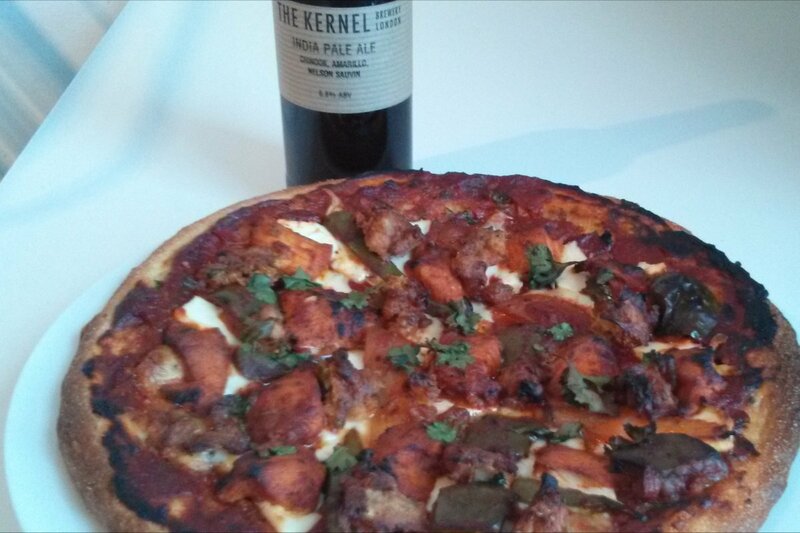 Enjoy with a nice cold bottle of IPA (Indian Pizza Ale).